Veterinarians and veterinary technicians are often compared to pediatricians because our patients, like many of theirs, can’t tell us what is wrong. It takes a lot of education and long hours before we learn to recognize most of the things that can make your little critter sick. Even then it is a tough job. Keeping positive about finding him/her is a must. 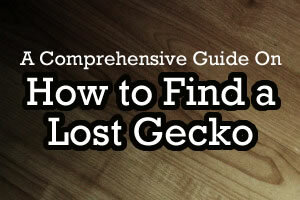 Think about it like this: you do not have to find a lost gecko, simply find its hiding place. They can go a good while without food and water. Most are found quickly but I’ve heard of one appearing eight months later. This month, Gecko Time spoke to Aliza Arzt of Geckcessories. Aliza is a small scale breeder who also happens to be one of the editors of this publication. 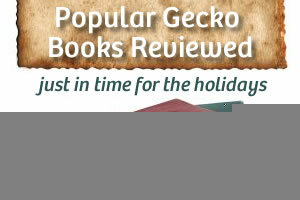 The holidays are approaching and herp-minded people are searching for gifts for their herp-loving friends. While living gifts are always appreciated, reference books also have a long shelf- life and can be invaluable to reptile keepers at all levels. There is debate within the reptile community about how to proceed when a gecko is born with defects that make life possible, if not “normal”. Some breeders prefer to cull these hatchlings in the interest of reducing the chances that a genetic anomaly will be passed on. Others feel that any creature which can live without pain should be cared for . 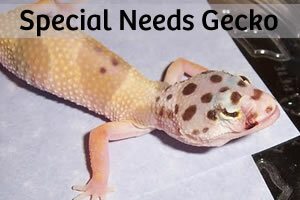 This is the story of a “special” gecko who seems to have enriched the lives of those around her. Taking interesting, clear photos of any living, moving creature is a combination of skill, technique and proper equipment. This article will provide some general tips for taking a good, clear photo of your gecko and editing out some of the more distracting background elements. 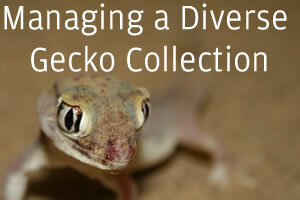 Need to ship a gecko? This is something that is done regularly in our industry. Sometimes it’s the only way to safely and effectively get a gecko to its new home. It can be stressful not only on the gecko but the shipper, especially if it’s your first few times shipping. These 5 tips to better shipping will point out some things you might not think about as a new shipper. In a stunning development, Alberto Candolini of A&M Geckos has recently decided to sell the leopard gecko part of his business. Alberto agreed to speak to Gecko Time about his decision and his plans for the future.